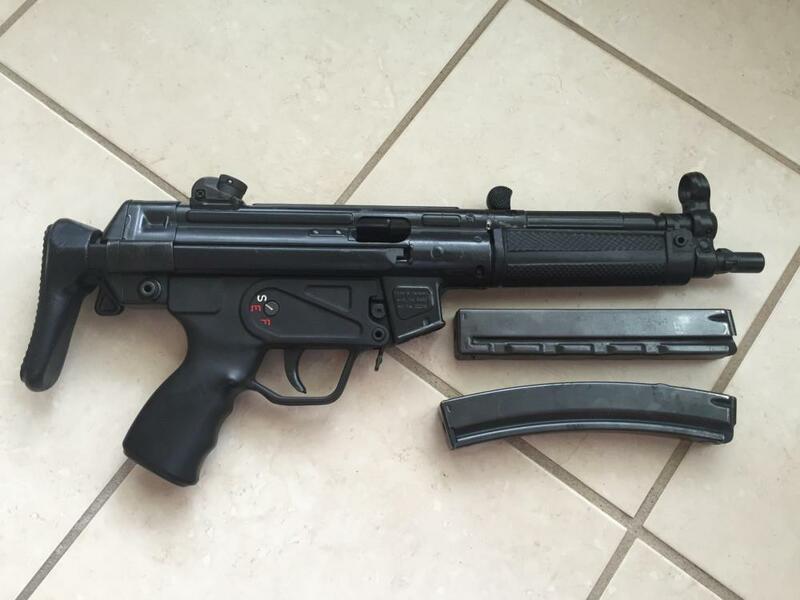 I have for sale a Pre Sample HK MP5A3. Price $13,995.00. Plus Shipping. Gun is in good shape it shows some minor wear on the finish. Comes with 3 curved 30rd mags and one straight mag. This is a early production MP5 (1972) Has additional Flash light forend included also. This gun does NOT require a law letter and you can keep it when you drop your SOT. It can ONLY be sold to current SOT's. contact me if you interested in ordering or info. please let us know what you have.